A licensing error message is received when attempting to connect to data using a CData ODBC Driver in Informatica on Linux. The driver being used is an ODBC driver downloaded from the CData website. The issue is seen when the Driver Manager for Linux is set to the incorrect value. 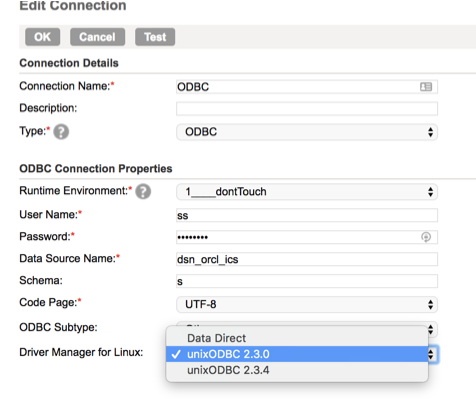 Update the value of the Driver Manager for Linux to unixODBC 2.3.x in the ODBC connection properties. The CData ODBC Drivers are compatible with all versions of unixODBC 2.3.x. Learn more about configuring the CData ODBC Drivers for Mac and Linux environments or download a free, 30-day trial.